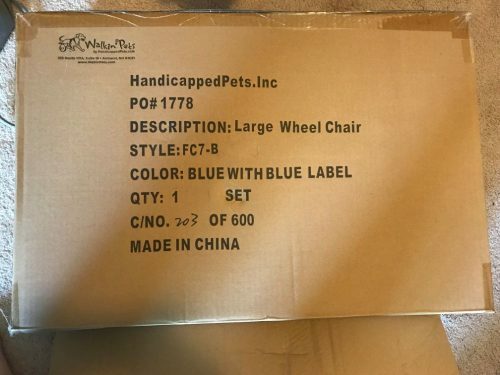 Blue Large Wheelchair, fits fold of flank 19″-22″, dogs up to 180 lbs. 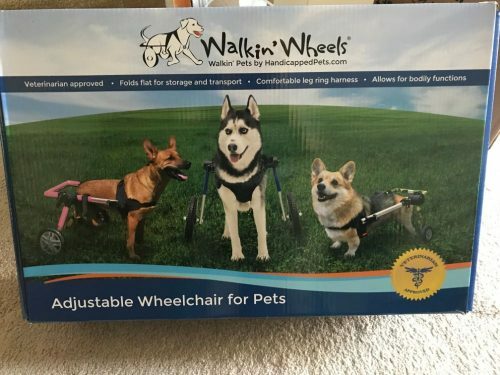 Our dog was 150 pounds but only used it once. He did not like anything around the back of his legs or anyone touching him back there which made it too difficult and stressful to try to get him into it. 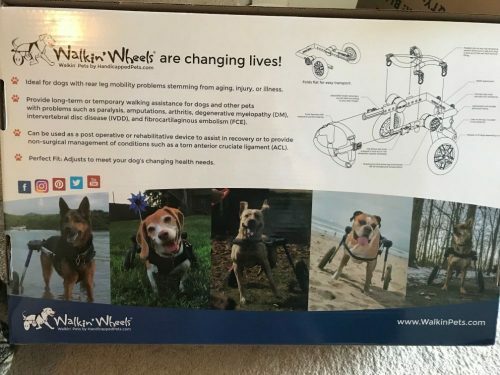 All parts, including the video and carrying bag are included and in the original box/package it came in. I will pay for UPS ground shipping if in the US. Is this a quad chair or a rear only?